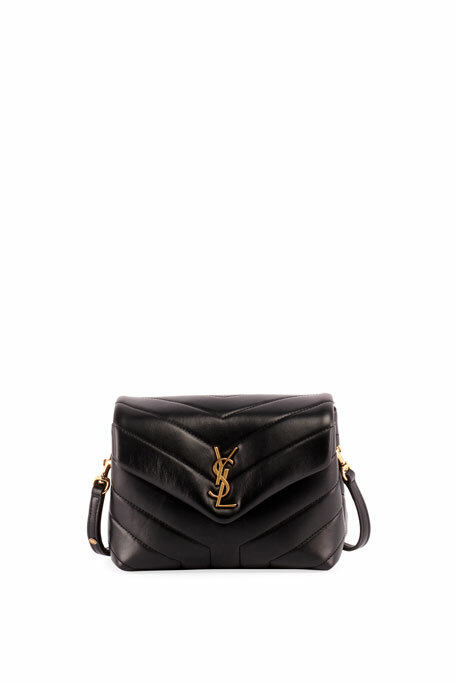 Saint Laurent crossbody bag in signature Y-quilted leather. Center slip pocket divides interior. 5.1"H x 7.9"W x 2.8"D.